The launch of FileAudit 5.2 continues to simplify folder and file access auditing on Windows Servers and help organizations guard against improper access, alteration or the destruction of sensitive data. 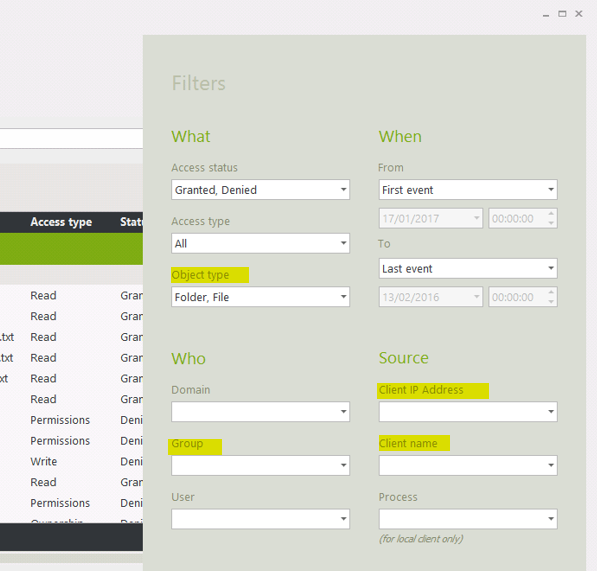 FileAudit 5.2 finds the answers you need from audited access events with far less effort. To identify exactly where a user has performed their access or access attempts, FileAudit now displays both the name and IP address of the source machine. Valuable information to help identify suspicious activity. 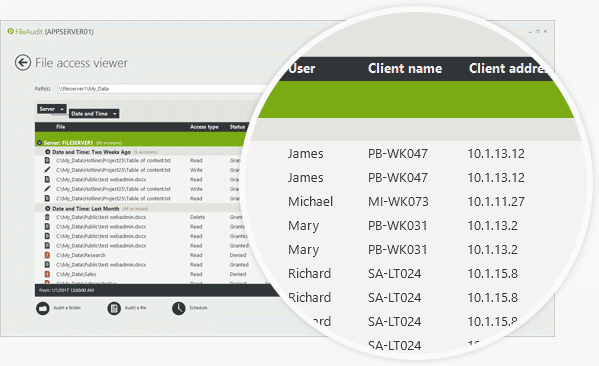 Directly associating a user with their actions on a particular file strengthens user accountabilty. A user who can be held individually accountable for actions is less likely to make mistakes or take other actions that might disrupt or compromise operations. Quick visibility into all access and access attempts is key for Windows administrators. With FileAudit 5.2 a search can be performed on every access made from a specific IP address or machine name. Other new search criteria include a filter by Active Directory Group and the ability to distinguish the object type (file or folder). File auditing in itself is important, but an alerting mechanism is essential for prompt notifcation of specific file access events that might warrant further investigation. Define a specific IP address, machine name/s and by object type. Choose to focus on access events for one or many Active Directory Groups. Add time and date parameters to alert on unusual or unexpected times. 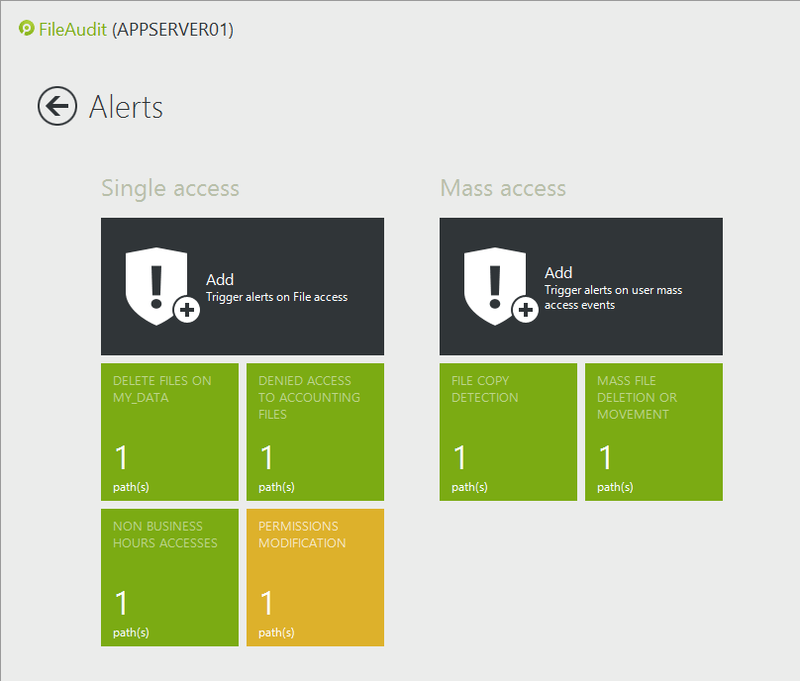 Send alerts for bulk file copying and mass file deletion or movement. But don’t take our word for it, Download now the fully functional Free trial and see for yourself how easily FileAudit can bring a new level of security to your Windows File Servers! Full documentation on what’s new in FileAudit.